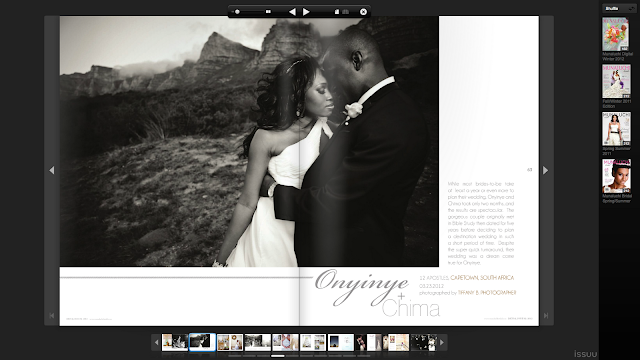 You may remember Onyinye & Chima's beautiful wedding from March? Well, the lovely people over at Munaluchi Bride contacted me last month to ask if they could feature their wedding in their online magazine. Um...of course yes!! Eeep excitement!! ahhhhh this is fantastic Tiffs well done girlie! !